Ok, who is Joey? 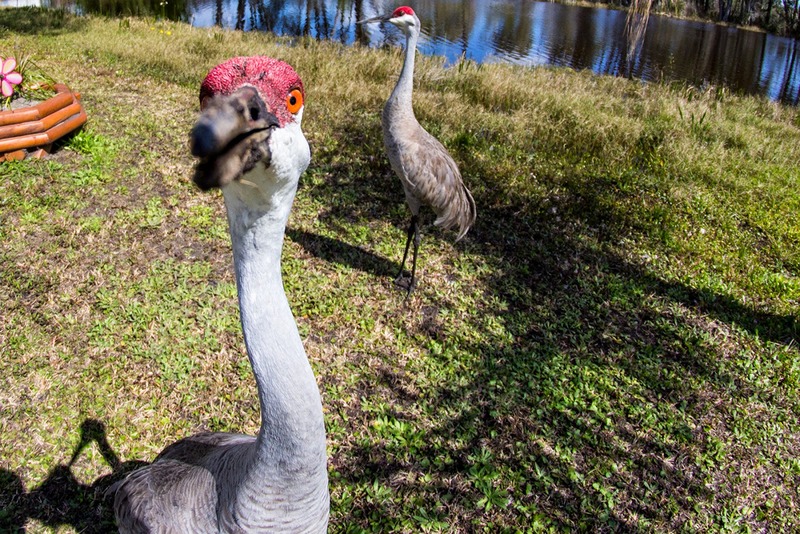 Joey is a Sand Hill Crane that has been coming here every year to get special treatment at the campground. They come in pairs and Joey is a female! The people that have seen her in the past said she will flap her wings at you if you flap your arms. No, we have not tried that. Oh ok, I did but I had a bucket of nuts in one hand so she missed the whole flapping thing. Now that they know we will feed them bread they come very very close to knocking on the door. HA, you say. Roger took a photo of Joey today and see what happened. As you look at Roger's shadow and Joey's beak you can see she put her beak right on the lense! No fear! Later this afternoon I think she wanted a few peanuts and walked right up to the front of the coach. Lola saw her and started barking and she scooted away. Lola recently ate the paper mache project I was working on so I started an new one. About a year ago I did a series of small square paintings of dog noses. 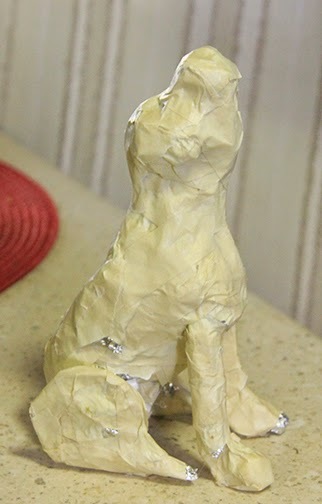 I was thinking how could I do a paper mache series of dogs and make them whimsical and fun? Dogs sitting with their heads up showing their big noses! I'll put on ears tonight and more "padding" . I'll keep you posted! And, finally and sadly, Wendy's beloved baby passed away suddenly this morning. Wendy is one of the owners of the park and "Little Man" was always with her. (And yes, I will be painting this portrait for her at some time when she is ready.) 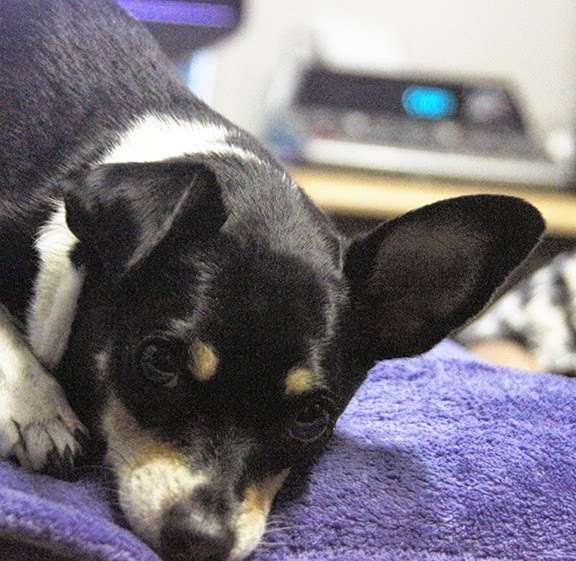 I did see her earlier for a brief moment when she arrived home from the vets office and she was in total devastating shock. A couple of us made dinner for the family tonight so they didn't need to worry about it. So heartbreaking. So more people are leaving tonight. They felt driving at night would be easier. I hope they are safe. I did bring the watercolor to my clients yesterday and they loved it. (It was family but they would have been honest.) We then did lunch, a strip to the framers and I left for my ride home with a fun filled day and a check! Nice deal!